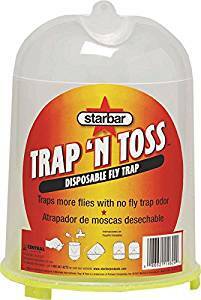 EZ Fly traps more flies, without that fly trap odor. Unique, compact design offers large trapping surface in a compact trap. No harmful chemicals. Insecticide free. Ideal for stables, kennels, gardens and homes. 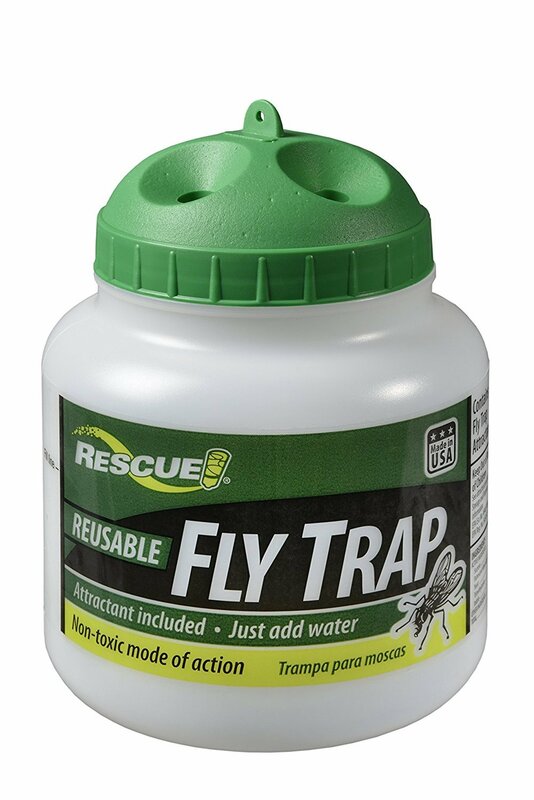 Attracts and traps flies and other flying insects, such as aphids, whiteflies, leafhoppers and many more. Special long lasting rainproof adhesive. Can be used indoors and out. 2 packs of 12 oz. traps. Place these sticky traps in the sun if it is in the 70’s or lower, and place additional sticky traps in the shade when the temperature is above 85. Dig a hole in your yard, install in the ground, then drop in dog waste. Clean up dog poop immediately and remove a breeding ground before the flies have a chance to lay eggs. Doggie Dooley is the original in-ground pet waste disposal system. It works like a miniature septic system, composting dog waste into a ground-absorbed liquid utilizing ordinary water and natural acting bacteria and enzymes. Just add Waste Terminator digester and water for continuous breakdown of dog waste. 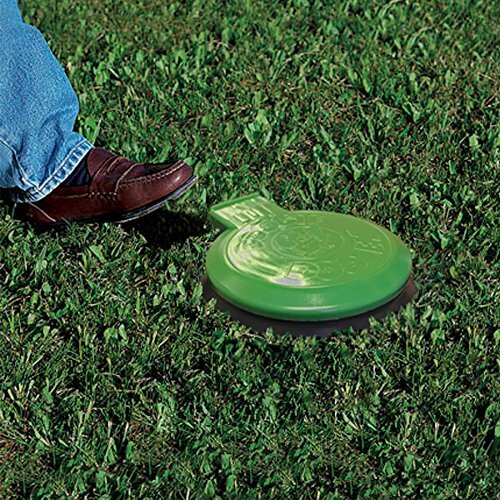 The environmentally friendly Doggie Dooley is harmless to pets, lawns, trees and shrubs. It's ideal for most soil conditions except heavy clay. I have used the Model #3800X for years and it is my first choice. I found it more durable then the Model #3500. The tiny Fly Predator beneficial insects are the natural enemy of flies, but never bother people or animals. Fly Predators destroy the next generation of flies in their immature pupa (cocoon) stage. Fly Predators are tiny, completely biteless and stingless. The key goal is to maintain a sufficient Fly Predator population to stop each succeeding generation of pest flies. Because flies reproduce nine times faster than Fly Predators do, adding supplemental Fly Predators every three to four weeks during warm months keeps the population balance necessary for good fly control. One down side to the odor (baited) traps is that they do smell and attract flies to the area. 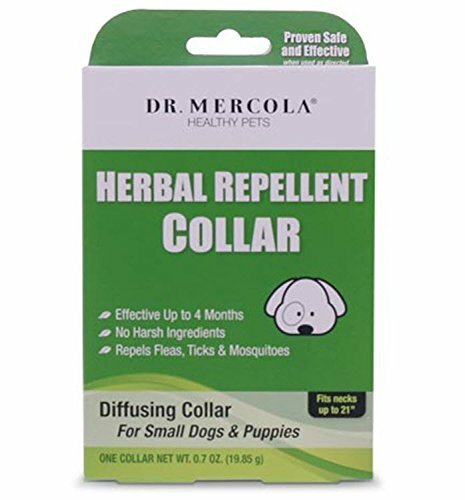 So these should be placed far away from you and your animals so you are not attracting flies. Flies can travel 1/4 mile or farther so be careful you are not inviting flies from your neighbors.